Suitable for all skin types, both men and women, (aged over 18 only). The benefits of laser hair removal: reduction of ingrown hairs, 80 % lifetime hair reduction & and smoother skin. 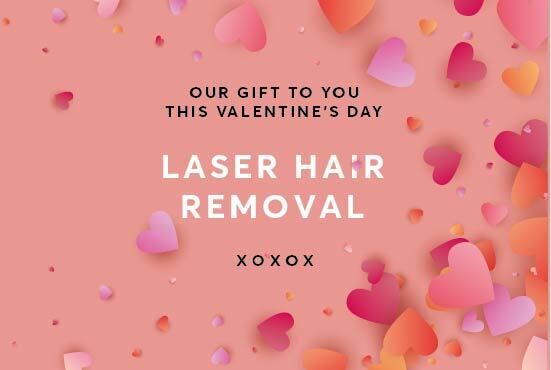 If you are interested in receiving laser hair removal we will provide you with a free consultation and patch test. Once you have received your patch test we can book you in for your first treatment after 48 hours. This offer is only valid for new clients from the 4th of Feb who have not paid a deposit or treatment. T & C's apply.